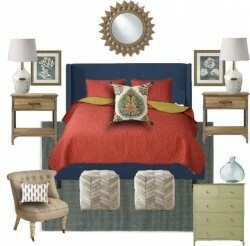 World Market has started their Big Furniture Event with up to 60% off hundreds of beautiful pieces for your home. Discounted prices are shown. You will also get free shipping on orders of $150 or more with coupon code 150SHIPFREE, or choose free in-store pickup to avoid shipping surcharges on larger pieces. Sale ends Sunday night. World Market is offering an extra 40% off a great selection of Furniture for Your Home when you apply coupon code FURNDEAL at the checkout. Eligible items are marked. Choose free in-store pickup to avoid shipping surcharges on larger pieces. Sale ends Nov. 25th. World Market has started their Friends & Family Sale and are offering an extra 30% off sitewide with coupon code FAMFRIENDS30. And, free shipping is included on orders of $200 or more, (shipping surcharges still apply), or choose free in-store pickup. Sale ends Monday night. 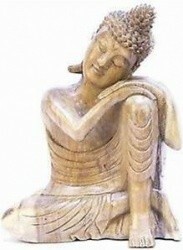 Today only, WorldMarket.com is offering 25% off a beautiful selection of Meditation & Zen Gifts. And, free shipping is included on orders of $65 or more with coupon code FREESHIP65, or choose free in-store pickup. 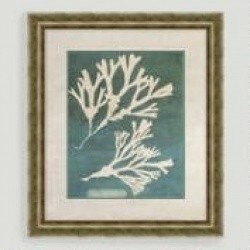 WorldMarket.com is having a limited time Wall and Art Decor Sale with up to 50% off things to make your walls pop! Choose from over 450 items. And, free shipping is included on orders of $65 or more with coupon code FREESHIP65, (shipping surcharges still apply), or choose free in-store pickup. WorldMarket.com is having a 4th of July Sale and offering an extra 10% off everything including sale items with coupon code SUMMER10. And, free shipping is included on orders of $65 or more, (shipping surcharges still apply), or choose free in-store pickup. Sale ends Wednesday night. WorldMarket.com is having a big Outdoor Furniture Sale with up to 50% off patio furniture, outdoor umbrellas, cushions and covers, hammocks and stands and much more. And, free shipping is included on orders of $65 or more with coupon code FREESHIP65, (shipping surcharges still apply), or choose free in-store pickup. WorldMarket.com is having a Friends & Family Sale with up to 90% off sale items, plus, take an extra 30% off across the site with coupon code YAYFRIENDS. Some exclusions apply see site for details. Get free shipping on orders of $65 or more, or many items are available for free store pickup. Sale ends Monday night. 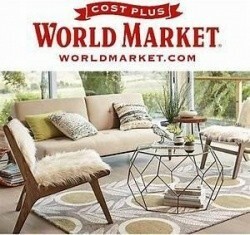 WorldMarket.com is having an Outdoor Sale and offering an extra 20% off all outdoor furniture, umbrellas, outdoor rugs, outdoor pillows, outdoor cushions, indoor/outdoor pillows, outdoor pendants & outdoor string lights with coupon code SUNNY. 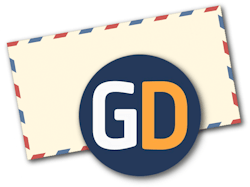 Free shipping is included on orders of $65 or more with this code, or choose free store pickup. Sale ends Monday night. 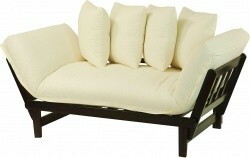 Today only, WorldMarket.com is offering 40% off select Chaise and Daybeds, discounted prices are show. Plus, get free shipping on orders of $49 with coupon code HELLOSHIP, oversize charges may apply - see site for details, or many items are available for free store pickup. WorldMarket.com is offering an extra 15% off across the site with coupon code FEBSAVE. Some exclusions apply see site for details. Get free shipping on orders of $150 or more, or many items are available for free store pickup. Sale ends Monday night. WorldMarket.com is having a Huge Furniture Sale with up to 50% off beautiful furniture pieces for every room of your home, plus, take an extra 10% off sitewide with coupon code JANSALE. Free shipping is included on orders of $150 or more with this code, or choose free store pickup. Sale ends Monday night. WorldMarket.com is having a Friends & Family Sale and offering an extra 30% off across the site with coupon code FAMFRIENDS. Some exclusions apply see site for details. Get free shipping on orders of $200 or more, or many items are available for free store pickup. Sale ends Monday night. 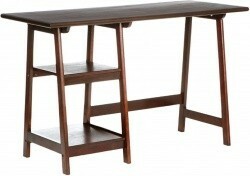 WorldMarket.com has up to 50% off Must-Have Home Office Furniture & Finds. Get free shipping on orders of $150 or more with coupon code SHIPFREE, many items are also available for free store pickup. WorldMarket.com is having an Indoor Furniture Sale with up to 70% off, plus, take an extra 10% off with coupon code SAVEBIG10. Many items are available for free store pickup. Offer ends Monday night. 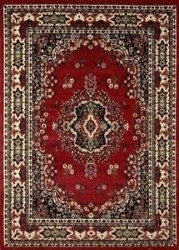 WorldMarket.com is having a Rug Caravan Sale with 25% to 50% of rugs for every room of your home, Get free shipping on orders of $150 or more with coupon code SHIPFREE. many items are available for free store pickup. WorldMarket.com is having a Guest Ready Sale and offering free shipping on special touches that make guests feel welcome, like pillows and throws, towels and bath rugs, curtains, bedding, and table setting pieces from all over the world, and, take an extra 10% off with coupon code FURNISH. 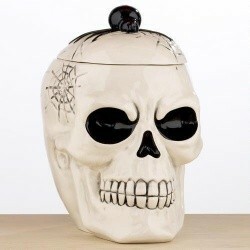 Right now, WorldMarket.com has 50% off all Halloween Shop Items, discounted prices are shown in each category, plus, take an extra 10% off with coupon code FURNISH. Most items are available for free store pickup. WorldMarket.com is having a 3-Day Sale and offering an extra 20% off sitewide, even on sale items, and free shipping at $150 with coupon code WM2610. Some exclusions apply, see site for details. Many items are also available for free store pickup. Offer ends Saturday night. WorldMarket.com is having a Friends and Family Sale and offering an extra 30% off sitewide (except on food and beverages), with coupon code FFWORLD. You will also get free shipping at $200, or many items are available for free store pickup. Sale ends Monday. WorldMarket.com has just increased their saving on Wall Art, now up to 75% off! Choose from hundreds of pieces, with deals starting at only $6.73. Get free shipping on orders of $150 or more with coupon code WMFS1502, many items are available for free store pickup. WorldMarket.com is having a Huge Home Sale with up to 50% off over 2,500 items. Plus, take an extra 10% off with coupon code SAVEBIG10, or get free shipping on orders of $150 or more with coupon code WMFS1502. Only 1 coupon can be used at a time. Today only WorldMarket.com offers 25% off all Halloween Decor. Prices start at only $2.99. 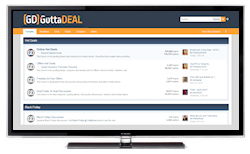 You will also get free shipping on most items, or choose free store pickup. 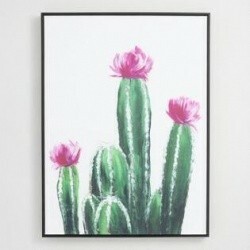 WorldMarket.com has up to 50% off Wall Art, plus take an extra 10% off with coupon code SAVEBIG10. Prices start at only $6.74 after the discount. Or get free shipping on orders of $150 or more with coupon code WMFS1502, many items are available for free store pickup. Only 1 coupon code can be used per transaction. Sale ends Saturday 7/25. 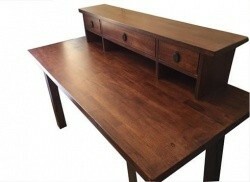 WorldMarket.com has up to 75% off Home Office Furniture, they state up to 50% off, but there are much deeper discounts. Prices start at only $24.99. Plus, take an extra 10% off with coupon code SAVEBIG10. Free shipping is included on orders of $150 or more with coupon code WMFS1502, many items are available for free store pickup. Only 1 coupon code can be used per transaction. WorldMarket.com up to 50% off Towels, Shower Curtains and Assorted Bathroom Items. Prices start at only 98 cents. Free shipping is included on orders of $150 or more with coupon code WMFS1502, many items are available for free store pickup. Sale ends Friday 6/26. WorldMarket.com is having a Let's Play Sale with 50% off Outdoor Toys and Kites, discounted prices are shown. Prices start at only $1.49. Free shipping is included on orders of $150 or more with coupon code WMFS1502, many items are available for free store pickup. Sale ends Sunday 6/14. 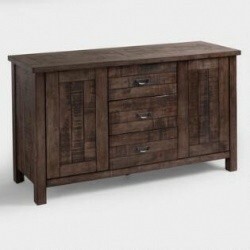 WorldMarket.com is having a 5-Day Furniture Blowout Sale with up to 75% off and prices starting at only $24.99. Free shipping is included on orders of $150 or more with coupon code WMFS1502. Sale ends Saturday. 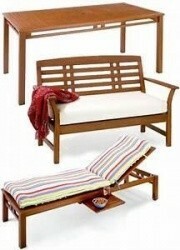 WorldMarket.com is offering 50% off their St. Martin Outdoor Furniture Collection. Prices start at only $24.99. Get free shipping on orders of $150 or more with coupon code WMFS1502. Sale ends Saturday..
WorldMarket.com has up to 50% off a wide selection of Mother's Day Gifts, plus take an extra 10% off with coupon code SAVEBIG10, or get free shipping at $99 or more with coupon code WM99FS, although many items are available for store pickup. Only one coupon code can be used per order. WorldMarket.com is offering an Extra 10% off Sitewide including sale and clearance items with coupon code SAVEBIG10, or you can take an extra 15% off outdoor items with code SUNNYDAYS. Prices start at only 35 cents after the discount. Choose free store pickup where available to avoid the shipping charges or get free shipping at $150 with coupon code SUNNYDAYS. Only one coupon code can be used per order. WorldMarket.com is having a Dining Event with up to 50% off dining room furniture, plus take an extra 10% off with coupon code SAVE0314. Choose free store pickup where available to avoid the shipping charges. This weekend only WorldMarket.com has 50% off Rolling Carts. Prices start at only $39.99. Free shipping is included on orders of $150 or more with coupon code WMFS1502. Sale ends Sunday. WorldMarket.com is having a Huge Prez Day Sale with up to 50% off rugs, furniture and more. Plus, take 10% off any purchase with coupon code SAVEBIG10. WorldMarket.com has up to 50% off Furniture, plus take an extra 10% off with coupon code SAVEBIG10, or get free shipping on orders of $150 or more with coupon code WMFS1502. Choose the code that works best for you. Deal ends Jan. 27th. WorldMarket.com is offering free shipping on 1000's of Holiday Gifts and Decor Items, Christmas delivery is guaranteed if ordered by Friday at noon PST. WorldMarket.com has 50% off Women's Pashminas, choose from 20 styles for only $4.99 each. Free shipping is also included. WorldMarket.com has up to 50% off Accent Chairs and Tables. Prices start at only $24.99. Free shipping is also included on orders of $150 or more with coupon code WMFS1502..